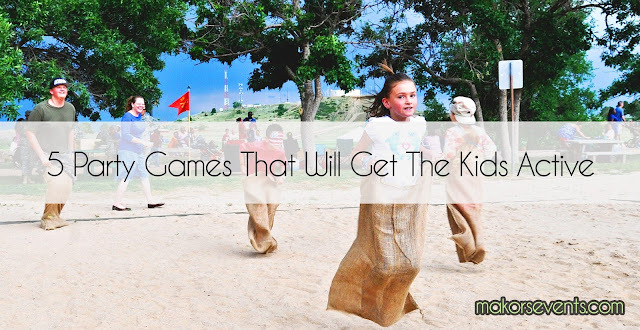 On top of your kid’s party entertainment, or food, children’s party games are an awesome way to get everyone in the party spirit, put more focus to your gathering, and at the same time getting the kids active. Below are some games for younger children and children of all ages. Get some inspiration, innovate a little, dress the children up and get ready to have fun! Kids hit a balloon in the air to your music until the music stops, then whoever was the last to touch the balloon must first burst it, and second complete the challenge inside in balloon. Write challenges on paper and insert them into balloons then inflate them, prepare enough balloons for the game. Challenges can be anything from simple questions but to make it fun, it can be tests such as trying to lick your elbow or nose, do the chicken dance. Appoint one kid/adult will be the Giant and stand with their backs to everyone else, who will stand about 3-5 metres away from the Giant. Everyone has to move closer to the Giant, when his head is turned away from everyone else. When he turns around, anyone who he sees still moving has to go back to the start line. The person who catches up with the Giant and taps him on the shoulder is the winner. Best way to get the children ready to eat is to wear them out! Get a pillowcase of a rice sack, get the children to place both of their legs inside a sack or pillow case that reaches their waist. From the starting point, yell “GO” and they have to hop toward the finish line. The first child to cross the finish line is the winner of the race! Get all the children to sit in a circle, and leave one child. The child left out walks around the outside of the circle, and taps the head of each child, calling each of them "duck" until the child decides to call out a "goose". The goose gets up and tries to catch the child, while he/she run round the circle to get to the vacated spot where the goose has been sitting. If the first child manage to get the spot before being caught, the other child loses and does the calling of duck duck goose. Else, the same child has to go again! Find a big space such as a garden or a hall, and keep it empty. Then put some ‘islands’ on the floor, so that they follow some kind of natural course, using cushions, mats, chairs and rows of chairs, sofas etc. The children have to through the obstacle course without touching or falling into the “sea”, by jumping from island to island. Test the obstacle course out to ensure that it is safe, and adjust the course according to the age of the child. Whoever falls into the sea the least number of times is the winner!